…and before adding boiled water to the floral facial steam by The Seeke. You need only a small handful of the blend for a steam, so one package lasts for weeks. I had a weird relationship with dried flowers for many years after reading in some Feng Shui booklet that they bring dead energy into a space. Luckily, I am now convinced that my place has a lively and flowing energy, even though I sometimes dry flowers. 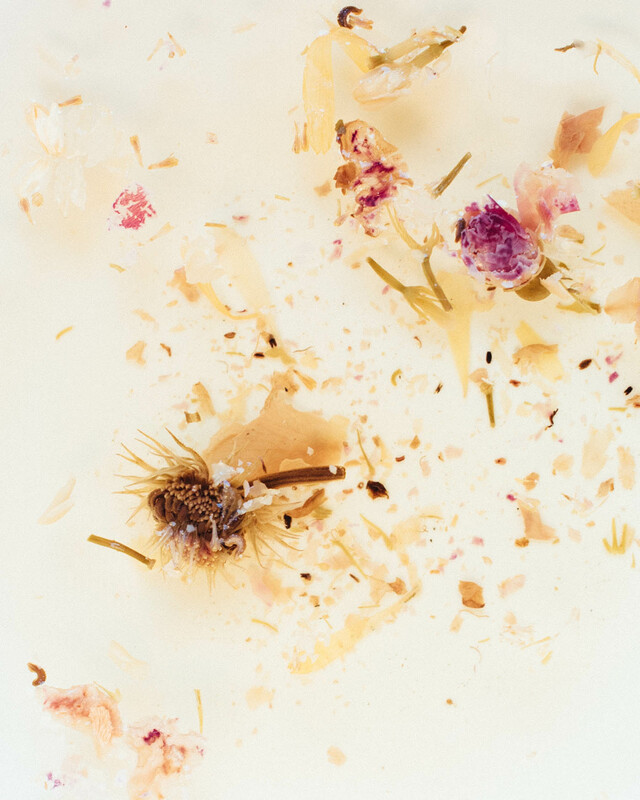 A way to enjoy dried flowers in the spirit of wabi-sabi, appreciating them as they are, is to use them as closet scent and make floral steams. A facial steam is great for purifying the skin. It draws impurities from your pores, improves circulation and, especially in the winter time when central heating dries the air, helps preventing the skin and the lining of the nose and throat from drying out. 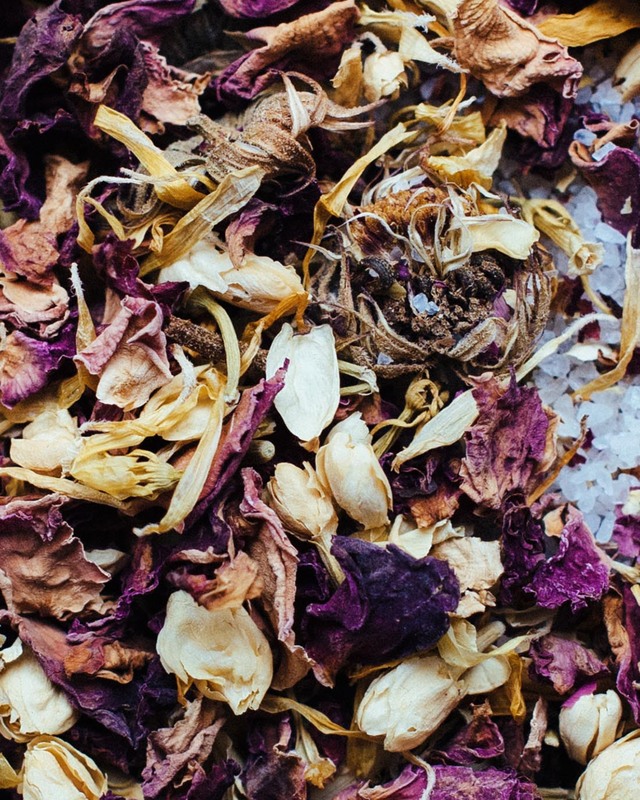 Breathe floral steam by The Seeke contains an aromatic blend of rose buds, calendula flowers, rose petals and jasmine buds combined with essential oil infused sea salt. I mostly steam between cleansing and a mask to open up pores and soften the skin. The Seeke facial steams are super easy to use. You place a small handful of the steam blend in a bowl, pour over boiled water, place a towel over your head above the bowl, and take five to ten minutes to breathe the steam and relax. If you have essential oils and fresh or dried herbs on hand, you can also make your own blend. Just remember, only one or two drops of each essential oil is plenty. Choose the scent with your nose. Your body knows what it needs. As for flowers, do not put anything in the steam that you would not eat. You do not want to inhale the pesticides of cut flowers, for example. 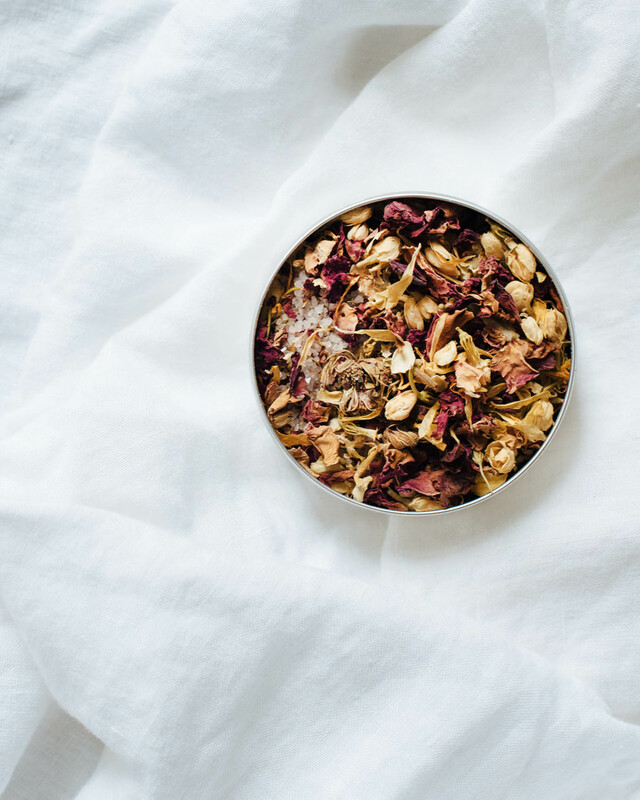 Instead, try a health store or a tea shop for dried organic rose buds and jasmine buds. Swedish online shop Organic Makers is focused on natural cosmetic ingredients and carries a small but high quality selection of dried organic herbs and flowers.